Manic Talons Nail Design: Couture Gel Nail Polish Contest - Enter Now! 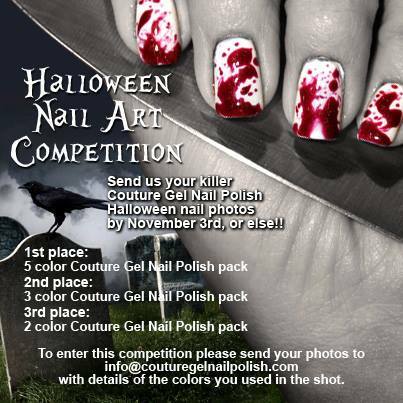 Couture Gel Nail Polish shared on their facebook page that they are having a Halloween Nail Art Contest. 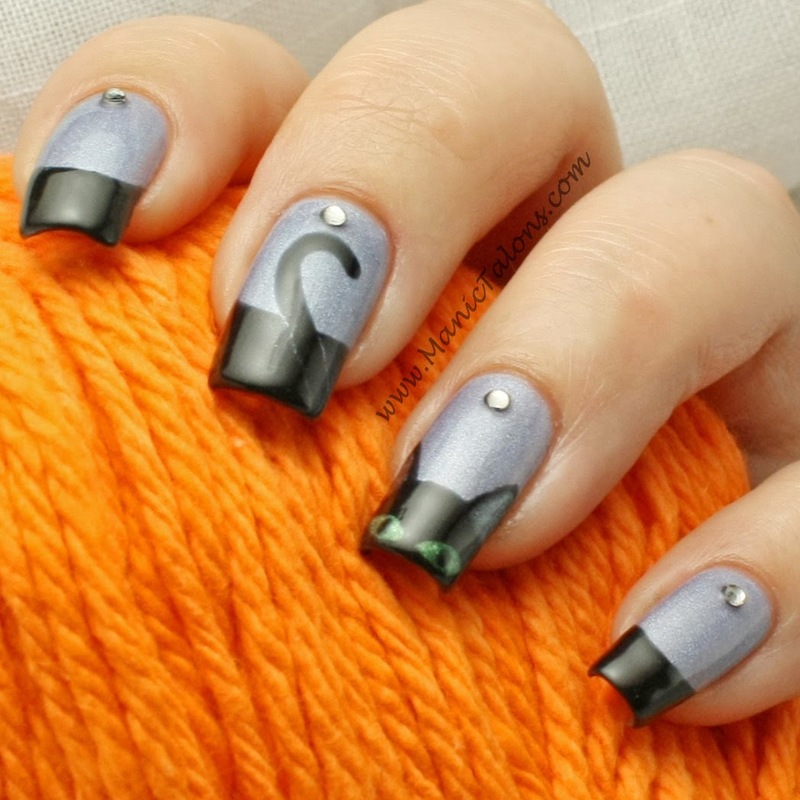 To enter, just send in a picture of your Halloween themed mani using Couture gel polish. The entire mani doesn't have to be Couture. As long as it uses one Couture color, it qualifies! I sent in my entry. Want to see it? How about a swatch of the base color first? I'm over black and orange at this point, so I went with Couture Share My Yacht? as my base. Share My Yacht? is a gorgeous color that I just can't describe. In some light it looks purple. In other light it looks blue. This one gives me fits when it comes to organizing my swatch sticks by color. But it's so gorgeous! I then used Couture Little Black Dress for french tips and a black cat. The cat's eyes are Couture Aloe Very. I decided it needed just a little something extra, so I added a few generic crystals.